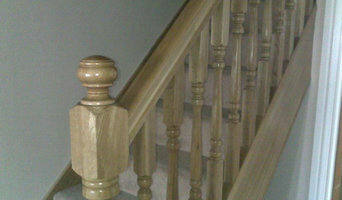 Fiximer is a family run business with years of expertise in solid oak creations and staircase transformations. 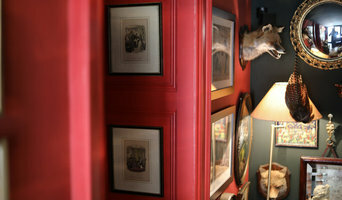 With our team of professionals, we can offer bespoke services to fulfil all customers design needs. We always strive for excellence, so no matter how big or small the project is we give it our full expert attention. Our aim is to provide high quality, value-for-money kitchens, bedrooms and staircase renovations with an emphasis on customer satisfaction. As well as competitive in pricing, we offer our full commitment to projects and quality craftsmanship, you can also expect a reliable and friendly customer service from start to finish. By choosing Fiximer you can be sure that your kitchen or fitted wardrobe will be as unique and individual as you are. All we need is your vision and our knowledge to create a “wow” factor, in creating custom furniture that your friends will be dreaming of and you will have the comfort of knowing you have invested wisely. When deciding whether to employ a joiner or carpenter in Leeds, West Yorkshire, it is best to pick your professional according to their experience on projects similar to your own. For example, installing bespoke joinery such as a staircase involves significant structural work and you might want to work with a carpenter in Leeds, West Yorkshire with considerable experience in bespoke staircase joinery. You will often find you need to employ both a carpenter and joiner on a single project, and some firms will offer both skillsets which can simplify your overall hiring process. Where can I find a good Leeds, West Yorkshire carpenter or joiner? 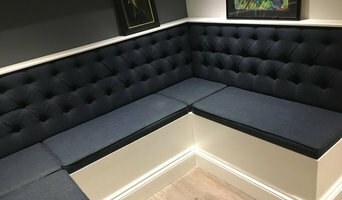 On Houzz there are many professional Leeds, West Yorkshire carpenters and joiners that specialise in providing a full carpentry service or bespoke joinery in Leeds, West Yorkshire, whether dealing with fitted or freestanding, traditional or contemporary furniture. Simply search for a joiner or carpenter in Leeds, West Yorkshire in the Find Pros category, then add images of designs that you like to an Ideabook and contact those on your shortlist. If you need reassurance beyond photos of their work and reviews of previous clients, then you might check to see if the carpenter or joiner is a member of The Institute of Carpenters (IOC), The Guild of Master Craftsmen, the British Woodworking Federation (BWF) or the Federation of Master Builders (FMB). Each asks its members to meet a certain level of expertise and abide by a code of conduct. Have a face-to-face consultation – basic brief and image references in hand – see which joiner or carpenter in Leeds, West Yorkshire is the easiest to get along with and who best understands what you’re trying to achieve. How long have you been a joiner or carpenter in Leeds, West Yorkshire? 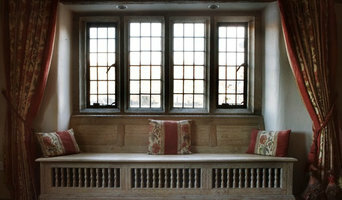 Do you offer bespoke joinery in Leeds, West Yorkshire as well as standard carpentry? Find a carpenter or joiner on Houzz. Narrow your search in the Professionals section of the website to Leeds, West Yorkshire joiner and carpenter professionals. You can also look through photos of woodwork and bespoke joinery in Leeds, West Yorkshire by style to find a design you like, then contact the joiner or carpenter in Leeds, West Yorkshire that worked on it.